What Does Code P0198 Mean? If the engine is the heart of your vehicle, then engine oil is the blood. Without engine oil to lubricate hundreds of moving metal parts, some of them separated by less than the width of a human hair, your engine would quickly overheat and weld itself into a useless chunk of metal. Engine oil, aside from lubrication, is also the principal manner in which heat is removed from the engine, which is why some oil pans have cooling fins and some engines are equipped with oil coolers. Some applications, such as towing or racing, require the installation of auxiliary oil coolers to maintain proper lubrication, cooling, and engine function. Oil temperature is important because excessive temperature could lead to burning, engine overheating, and loss of lubrication. The engine control module (ECM) uses the engine oil temperature (EOT) sensor to monitor oil temperature. The EOT signal is also utilized by the instrument cluster if the vehicle is equipped with an oil temperature gauge or oil temperature warning light. If the ECM detects a problem with the EOT signal, it will set a diagnostic trouble code (DTC) in system memory and illuminate the malfunction indicator lamp (MIL). What are the common causes of code P0198 ? Extreme Cold – Using your vehicle in extreme cold can be problematic for a number of reasons, because the engine needs to be at a certain temperature to run at its most-efficient. Typically, the engine needs to run around 195-205 °F for best performance and fuel economy, but extreme cold might make it hard for the engine to even get to that temperature. Consider covering the grille to keep excess air out of the engine compartment to conserve heat, only be careful to watch that temperatures do not swing to overheating when at a standstill, for example. Racing and Towing – Putting your engine to its limits in the other direction can also impede engine oil cooling, which is essential for maintaining correct engine temperature. Racing and towing are two situations that can really push your engine’s cooling and lubrication system to the test. Consider adding an additional oil cooler to your setup to improve engine oil cooling. What are the symptoms of code P0198 ? Aside from the MIL, you may not notice anything at all. On the other hand, you may notice other symptoms, such as overheating due to coolant problems, low oil level, or engine oil sludge. Lack of cabin heat might be another symptom, especially if you have thermostat problems or are driving in the extreme cold. How do you troubleshoot code P0198 ? Troubleshooting the EOT and its circuit is fairly straightforward. The sensor is similar to the IAT, a two-wire 5 V thermistor, which changes resistance based on temperature. The ECM reads the incoming voltage, calculating oil temperature based on that. Check electrical connectors and wire harness for obvious damage. Make sure the plug has no bent or broken pins or corrosion and that it is properly seated. Repair as necessary. 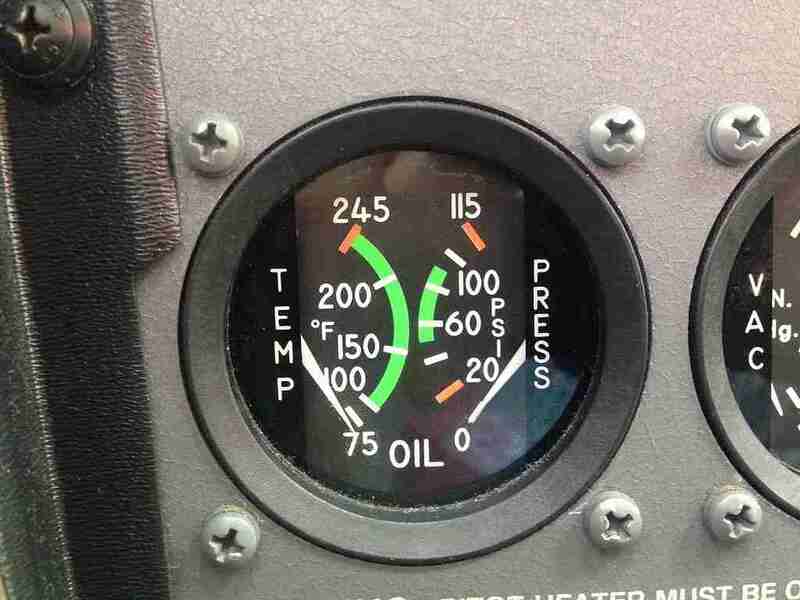 Check that the engine is heating up properly and the thermostat is opening and closing properly. If the thermostat is stuck open, you will not get any cabin heating and the engine will not reach operating temperature. Repair as necessary. OBD Check – Perhaps the easiest way to check the EOT sensor is by trying to induce the opposite DTC. Clear DTCs, turn off the vehicle, disconnect the EOT, then start the vehicle again. You should get DTC P0197 EOT Low, which means you may be able to condemn the sensor. Repeat the test, this time with a short-wire (paperclip or similar) in the EOT sensor connector. If you get DTC P0198 EOT High, this means the circuit is working properly. If test results match the above, you can condemn the sensor and replace it. If test results don’t match either of above, proceed to circuit tests. With KOEO (key ON engine OFF), check for 5 Vref (reference voltage) at the EOT input and proper voltage output. Compare voltage output to the temperature/voltage chart. At 50 °F, for example, the EOT should be putting out about 3.73 V.
If you measure 5 V input and 5 V output, you could have an open circuit back to the ECM. If you measure 5 V input and 3.73 V output, the sensor is working properly, but you may have another problem. If you measure 5 V input and 0 V output, the sensor is dead. Replace the sensor. If you measure less than 5 V input, you may have an open circuit or corrosion impeding the 5 V reference from the ECM. It’s possible that the Vref generator in the ECM is faulty, but this is not common and you would have a number of other DTCs along with it. With key OFF, disconnect both the ECM and EOT. Check for continuity, <1 Ω, and open circuit, >10 kΩ, to each other and to ground. Repair as necessary. None found. Ask a question about P0198.